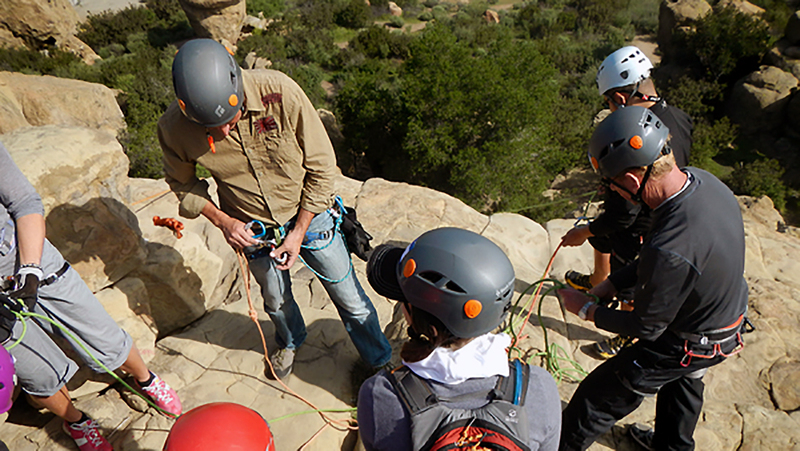 Canyon Rescue Course (ACE-L4) Moab, UT – ‘Intensive’=All skills presented in only 2 days! The cost of this course is $395 and for $50 you can camp with us for 3 nights! (The course fee is non-refundable, but may be put toward a future class during the same calendar year if 30 days notice are given, cancelling your participation in this course.) Please read more course/company policies here. Required gear for this course is all of your personal gear including: harness, helmet, safety tether, foot loop, prusik, vt prusik, ascenders, rappel device, carabiners and a canyon cordelette (we can loan out some of the hardware and specialty items if you don’t have them … and we always offer a 10% discount for any gear bought before/during/directly after the course).